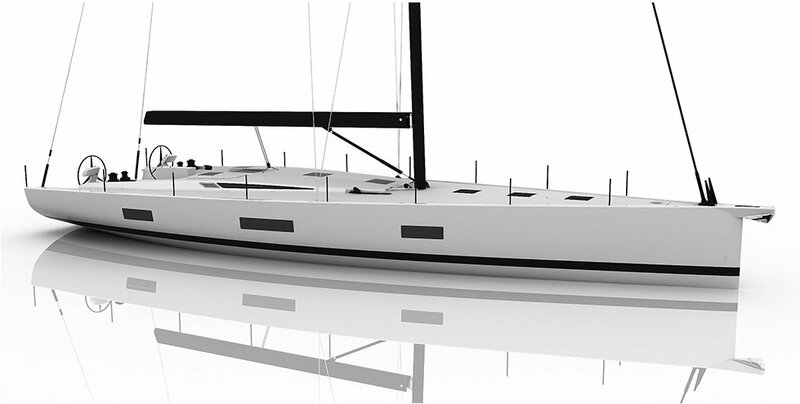 Vismara believe their yachts should reflect the Prêt-à-Porter principle. A yacht that should be quite literally ‘ready to wear’. Owners should be gifted the opportunity to have exactly the yacht they want, the freedom to go where they want, but should face the minimum of distractions in getting there. And that’s it… With many hundreds of possible variations*, the Vismara owner will receive their yacht ready to sail away from the dock, unique to their desires, complete with all necessary equipment, and all for a guaranteed fixed price from just Euro 1,500,000* that even includes launching and commissioning*. 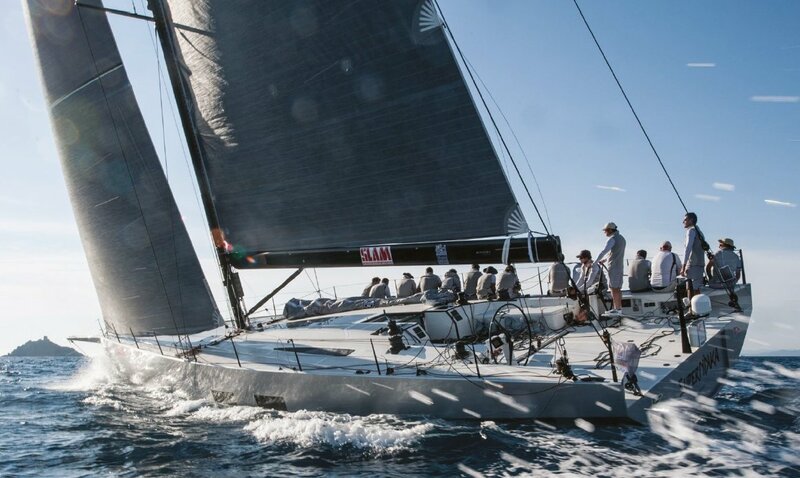 Transferring to new yachts the same technologies developed in more than 30 years of research and development, from regattas to fast cruises Vismara’s research is aim to give sailors the right to go cruising as fast as the competition racer without compromises to comfort or safety. The hull is build using a female mould. 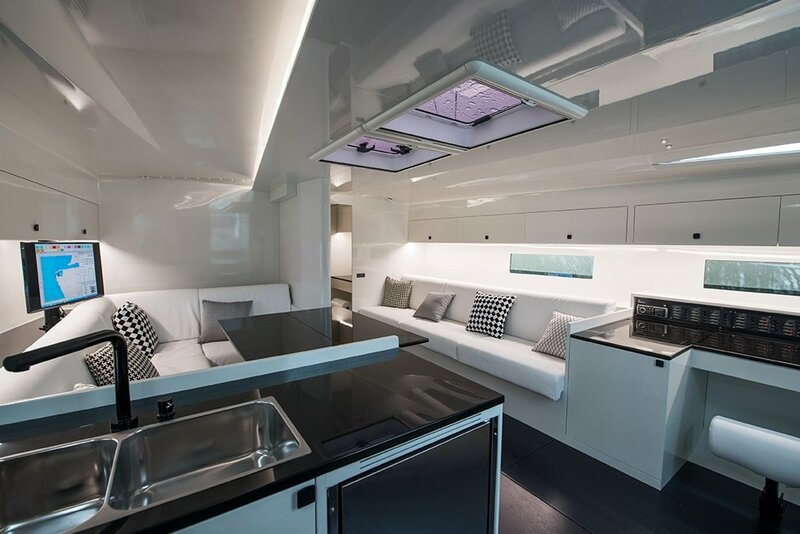 Vismara’s philosophy of lightness is the core of this 62ft cruiser racer yacht. Constructed from a combination of fiberglass or carbon sandwich, vacuumed with epoxy resin, she is both extremely strong and secure. 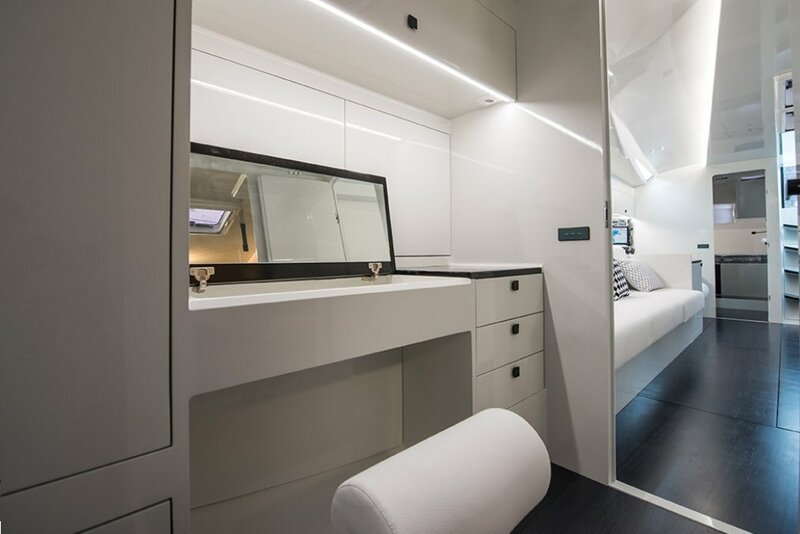 The hull, deck and bulkheads undergo a postcuration process at controlled temperature according to supplier’s technical sheets at no more than 60°. Structural reinforcements are laminated using unidirectional carbon fibres. The deck is a laminate of carbon fibre for ultimate strength,light weight and durability. Choose from paint, wood or carbon interior finishes. 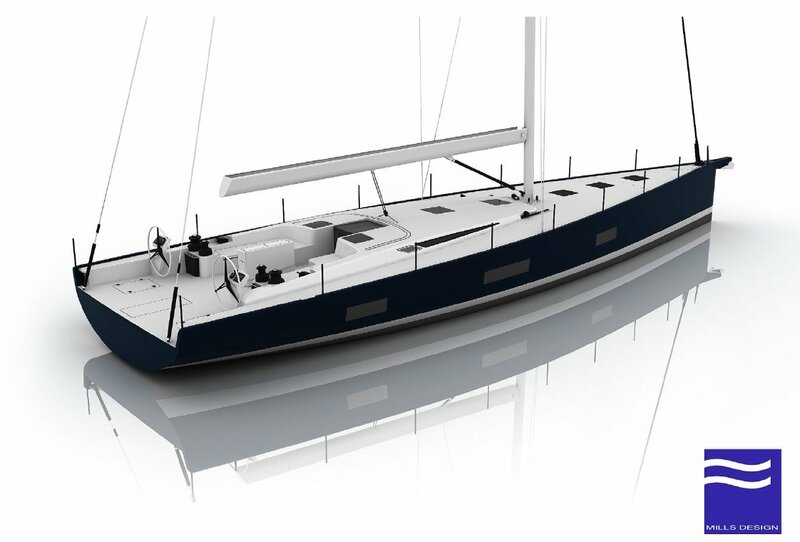 Specification items from ‘Luxury’ or ‘Sails’ configurations may be applied to other V62 Prêt-à-Porter configurations at additional cost. 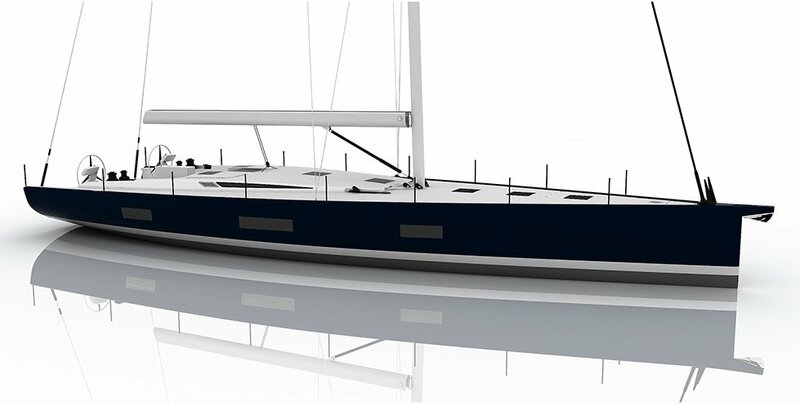 Launching and commissioning at Vismara Marine’s Viareggio shipyard is included with all Vismara Prêt-à-Porter yachts. To arrange delivery to alternative locations, please contact us to discuss your requirements. 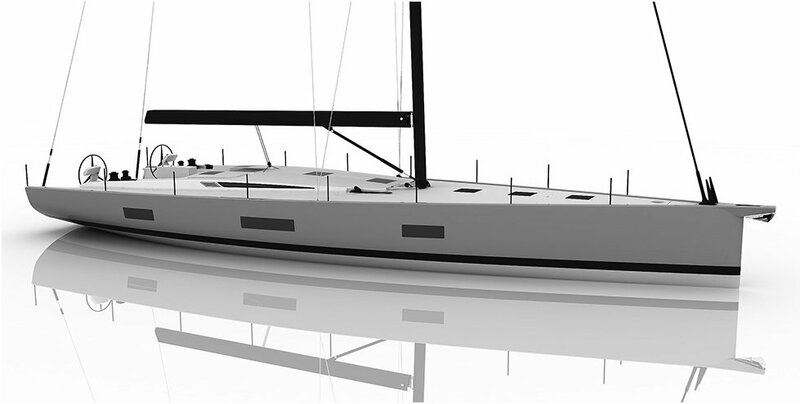 Interview with Alessandro Degli Innocenti presenting the new line of ready-to-wear boats . 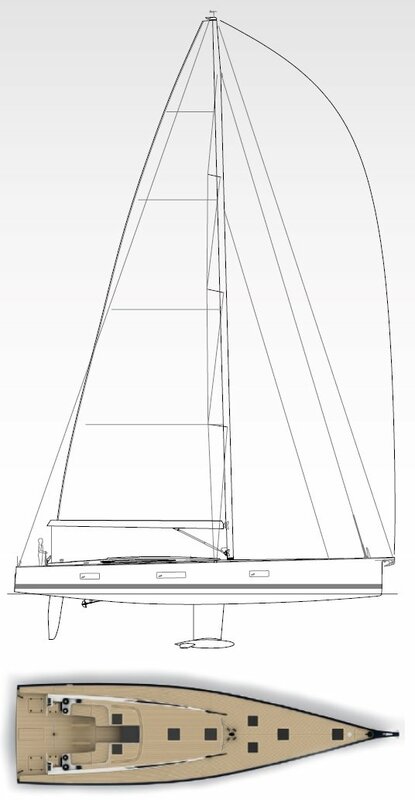 Major engineering without neglecting innovation and customization of the boat.